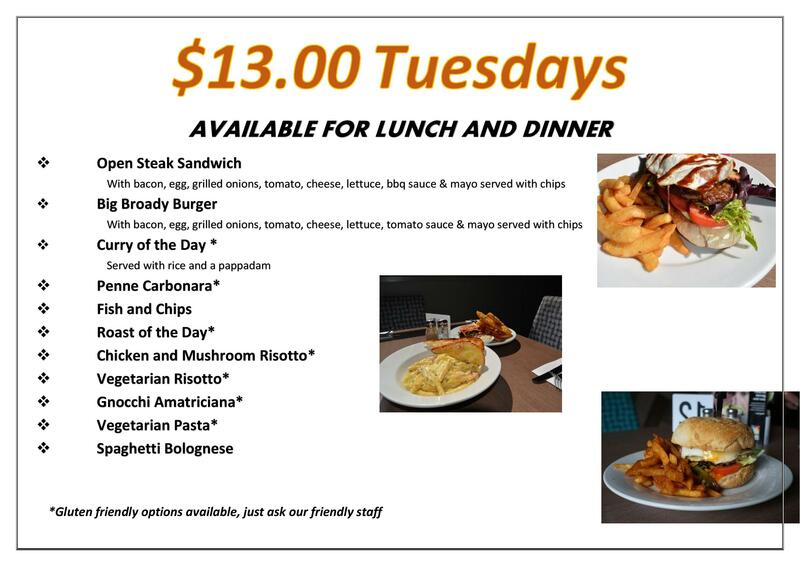 $13 Tuesdays. Choose from up to 13 meals from just $13! Choose from our Open Steak Sandwich, Fish and Chips, Big Broady Burger, Penne Carbonara, Pie of the Day, Curry of the Day and much more.